I met Swiss-German hiker and explorer Jan Dudeck and his Chilean wife Meylin Ubilla last January. And hope to get back to Patagonia again in 2017. Willem Vandoorne has done a number of the world’s most difficult long hikes. He’s just back from Greenland. … which was without any doubt the most beautiful I have ever made and which has impressed and touched me deeply. The feeling which I had during those weeks in the wilderness is hard to explain. As I struggled through boulderfields and moraine, watched the sun set from mountain with views unknown to human gaze, and slalommed along countless muskoxen, I no longer felt like a spectator of any kind in this vast wilderness, but was an integral part of it, obeying to the same rules and laws of nature as any animal out there. 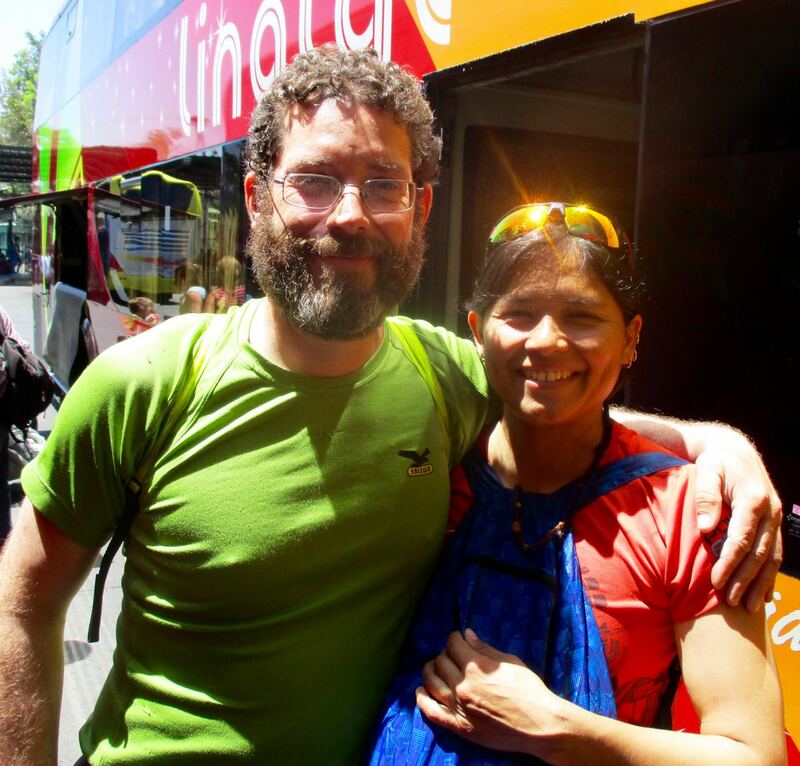 My last day in Chile I was lucky enough to meet up with Jan Dudeck and his partner at the Santiago bus station. We carbo-loaded on ice cream while I got a personal update on what happened on this their 3rd season on the long distance hike. Carrying an Alpacka packraft on sections. Once back in Europe, Jan will be updating the wikiexplora page with new data. New alternative routes. The Greater Patagonian is not an official trail but rather 1500km or more of connected best routes in Chile and Argentina. You’ll be lost for sure unless you have KMZ and GPX files downloaded from wikiexplora. As they research possible new options Jan actually starts with cached Google Earth images. Then looks for the faint trails he sees there to mark waypoints on their GPS. They don’t bother carrying heavy topo maps. I tried and failed on section 1 of the Greater Patagonian in January. But am very tempted to go back next Jan/Feb to try other sections.